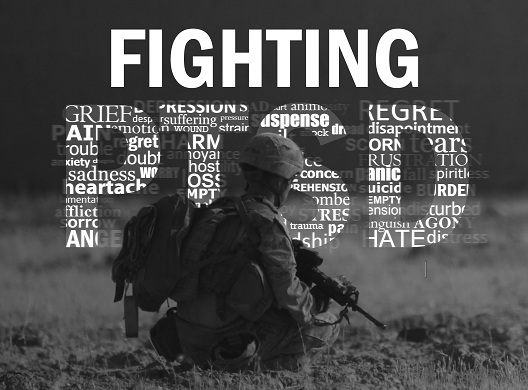 Military officials believe they can fight the stigma of Post Traumatic Stress Disorder with a name change – dropping the term “disorder” – and instead linking the condition to “combat”. The Houston Chronicle reported Sunday that the American Psychiatric Association is considering the proposal. The president of the American Psychiatric Association says he is “very open” to a request from the Army to come up with an alternative name for post-traumatic stress disorder so that troops returning from combat will feel less stigmatized and more encouraged to seek treatment. Dr. John Oldham, who serves as senior vice president and chief of staff at the Houston-based Menninger Clinic, said he is looking into the possibility of updating the association’s diagnostic manual with a new subcategory for PTSD. The subcategory could be “combat post-traumatic stress injury,” or a similar term, he said. “It would link it clearly to the impact and the injury of the combat situation and the deployment experience, rather than what people somewhat inaccurately but often assume, which is that you got it because you weren’t strong enough,” Oldham said. The potential change was prompted by a request from Gen. Peter Chiarelli, the Army’s vice chief of staff, who wrote to Oldham last year, suggesting APA drop the world “disorder” from PTSD. “Calling it a disorder contributes to the stigma and makes it so some folks – not all, but some folks – don’t get the help they need,” Chiarelli said.